A few years ago my youngest daughter decided that she really wanted to try out a martial art. I’ve known Master Craig since our school days so I arranged to take both daughters along to a class. I pretty much tricked the oldest into training (‘go and look after your sister!’), but by the end of that first hour they were both hooked. They loved the class, made new friends and it really built their confidence up. Most of all, they had fun – I’ve never had to force them to attend a class because they genuinely want to be there. After a while I became more involved with the club, chairing the Parent’s Committee meetings and helping to set up some of the social media we use (https://twitter.com/TSDTheApproach). When Craig decided to run a class on The Approach in September 2015, me and a couple of the other parents had a go. 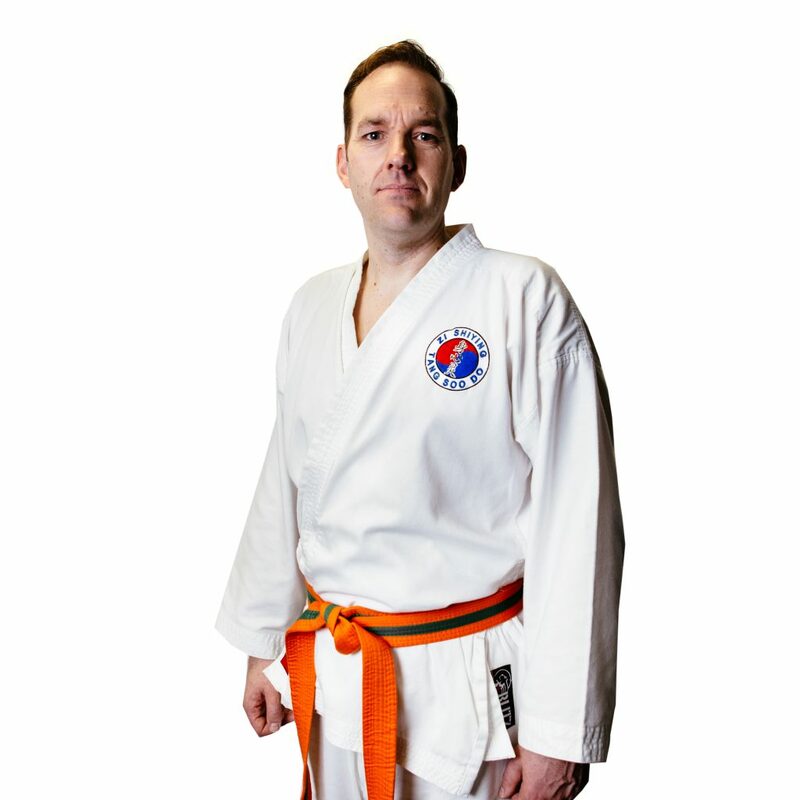 Between us, we made a pledge – if we enjoyed it, we would join in the weekly Tang Soo Do class. Two weeks later, I was lining up with the beginners rather than watching at the sideline. We all lead busy lives and time is valuable to us, but I see my training at Zi Shiying Tang Soo Do as time very well spent. There is a real family spirit to the club. Nothing is too much trouble for the instructors and they take the ‘adaptable’ teaching seriously. For example, for those with physical limitations or disabilities, they work with the student to find what works for that person. In real life situations, performing the greatest kick or a well executed attack might look great, but it’s not always the best option. We practice adaptive techniques regularly and it has been an eye opener. I have no background in martial arts, but I have been able to help Master Craig run some of The Approach classes this year, including one we set up exclusively for teenagers. Our ambition is to run The Approach classes regularly throughout the year. We would also like to offer businesses the chance to give their employees self-protection training through The Approach. This would be a really exciting and different team building session that could add real value to a company, particularly where there are lone workers. As for my girls, I’m really proud of their achievements and was made up when they graded to Blue Belt at the end of 2016. I’d love to see them get to Midnight Blue and really begin their journey!